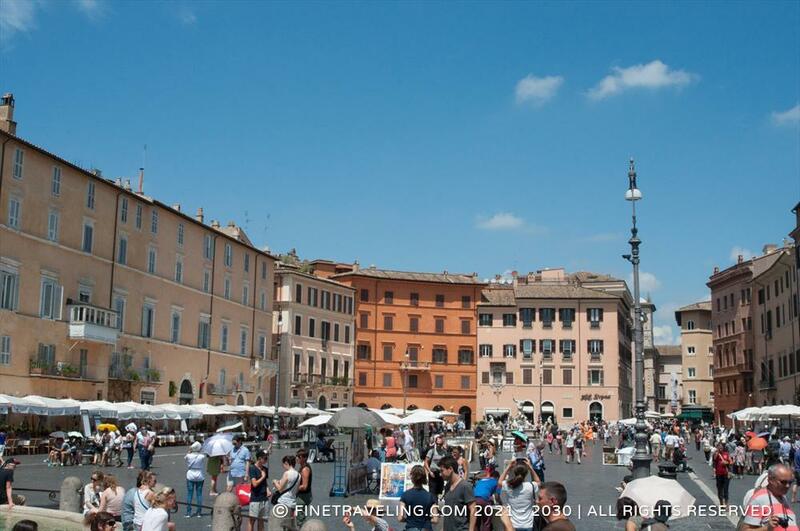 "Back then the crowds gathered to watch agones here." 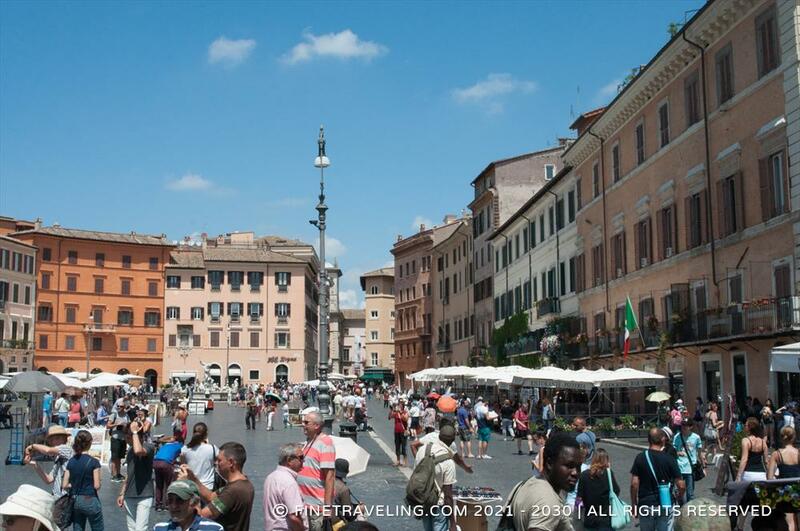 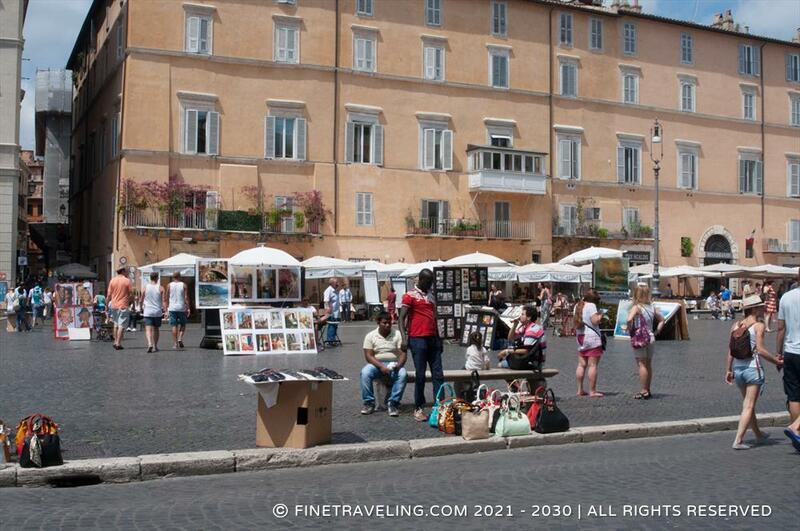 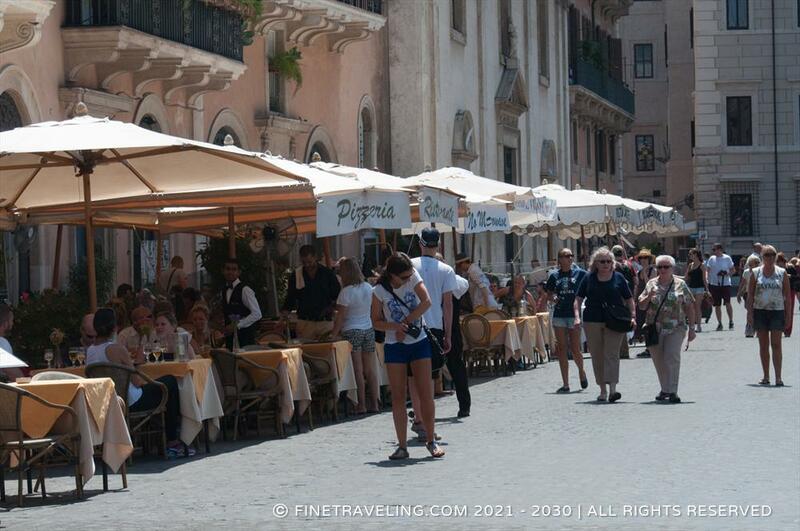 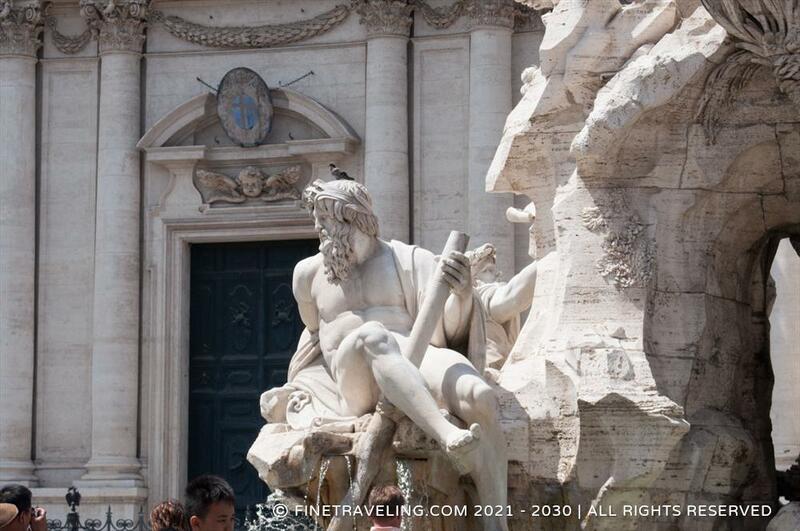 The area of Piazza Navona used to be the grounds of the Stadium of Domitian, dating back to the 1st century AD. 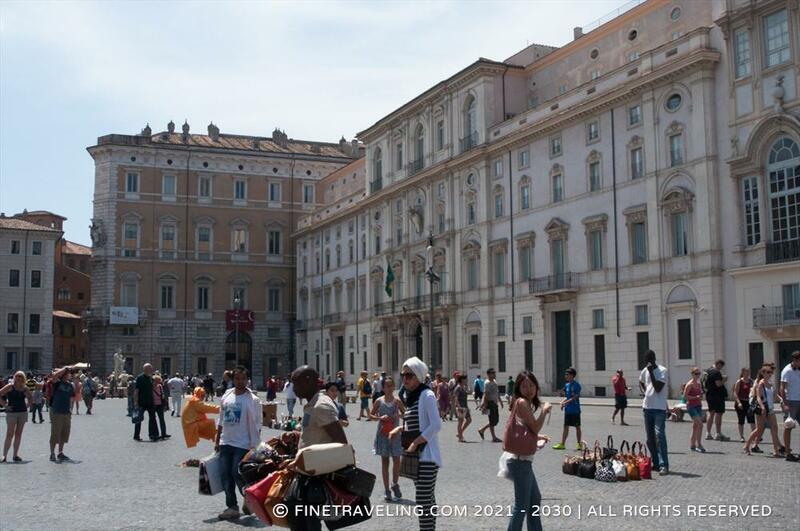 Back then, the crowds gathered to watch agones, which is a Greek word referring to games. 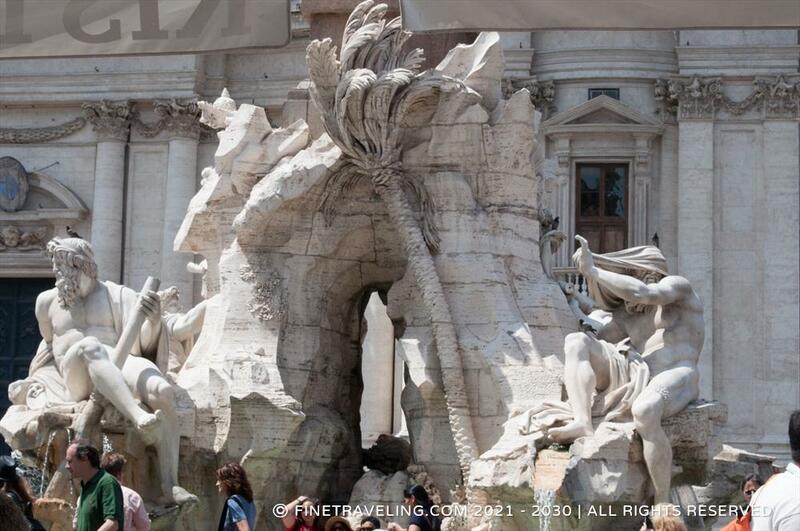 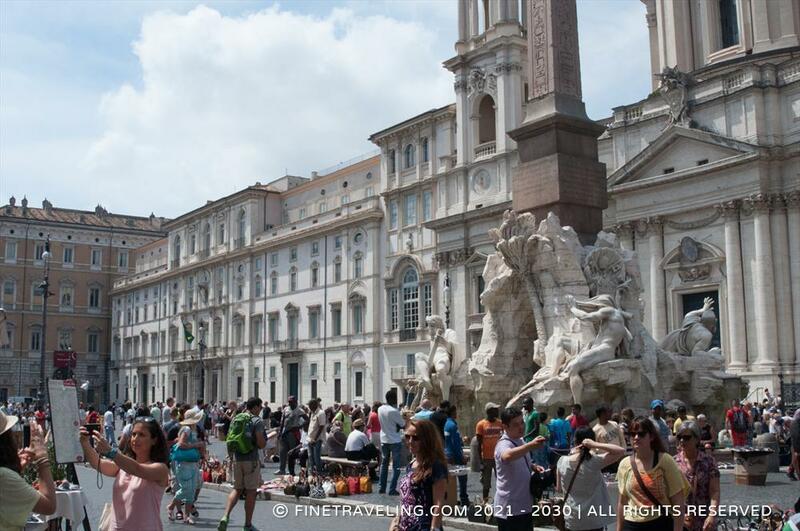 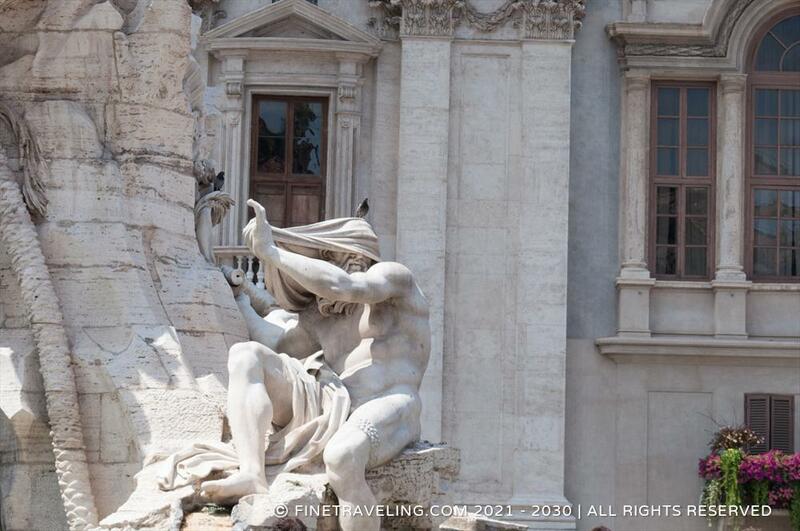 Piazza Navona is a good area to people watch, with a gelato in your hand in front of the three fountains, one of which had work done by the famous Bernini.